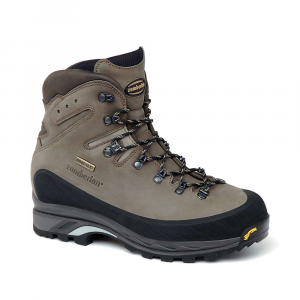 Fairly lightweight backpacking boot with great ankle support. Can be used for on trail and off trail hiking. I have to say these are the most expensive boots I have ever purchased but the money spent was well worth it. These boots are super! There was virtually no break-in time associated with them. The first time I took them out, I went on an 8.5 mile hike and did not have any issues. Since then I have hiked in them in the Wichita Mountains, Pecos Wilderness, Wheeler Peak Wilderness and White Mountains Wilderness with the boots. Conditions ranged from dry to mud to snow covered trails. Ankle support is excellent and the Vibram sole worked very well on muddy trail to snow covered talus en route to Wheeler Peak. They do lose some of their "grippiness" in stream crossings (reason for the 4 rating). I can't get over how comfortable they are every time I put them on. Even with the stock Zamberlan insoles, they are still comfy. These boots are a little much for normal hiking, but, the protection they provide, especially in the ankle are, is superb. Backpacking with these ATB's will be easy and I have a little excursion planned for these in November in the Lincoln National Forest. Awesome boot. I noticed they run a little wide. I normally wear an 11 to 11.5 US, D width and I have a pair of Asolo FSN 95's in the wide width because the D width was too narrow. I got the Steeps in an 11.5 and they are very roomy. But, that's ok because it allows me to wear a much thicker trekking sock which adds to the comfort. I had a small issue with heel lift, but, now that the ankle area has "worn-in" a little more, coupled with a different lacing technique, I no longer have that issue. You won't be disappointed. Don't let the "steep" price deter you, you won't regret getting them. I have not had issues with the Goretex membrane leaking. Not much to add except these boots are holding up well in the conditions and environments I have taken them to. First of all, let me say I feel very lucky to even HAVE a pair of these boots to review. Seems that Zamberlan is having a heck of a time clearing them through customs and most dealers have them on a wait list. I got mine from CCOutdoorsports.com and I was actually on a wait list for a very short time before they came into stock and shipped. These boots are out of the box comfortable and probably required no breaking in prior to serious use but I put them through a short break in period on stairmills and treadmills at the local fitness club prior to their first actual use. Their first use was a combination on trail, scramble hike of about 26 miles. I'm extremely impressed with how light they are given their size. I had absolutely not one problem going from the trail to off trail and finally to large talus fields and boulder hopping. Two weeks later I took them on a five day trip to the Enchantment Lakes and while there pushed them up to the top of Dragontail Peak (on a large snow field without crampons), Little Anapurna (snow rock mixed) and Enchantment Peak (rock). Again nary a problem. They have excellent traction on summer snow and I never felt the need to put on crampons. Just kept slogging on up some fairly steep snowfields. While the outers got slightly wet even with the waterproof coating my feet inside did not. My last hike was strictly a trail hike and I forgot to bring along gaiters; the brush was wet, the water wicked in from my socks and my feet got wet but that was my fault. So, as it stands right now they've been everywhere and seen a little of everything except crampon wear. My one complaint; the leading edge of the toe is leather and not the rubber rand you see on a lot of hiking boots. For the type of hiking I do (a lot of off trail) this has resulted in some scuffs in that leather. I would like to see a rubber rand but of course that would add weight. 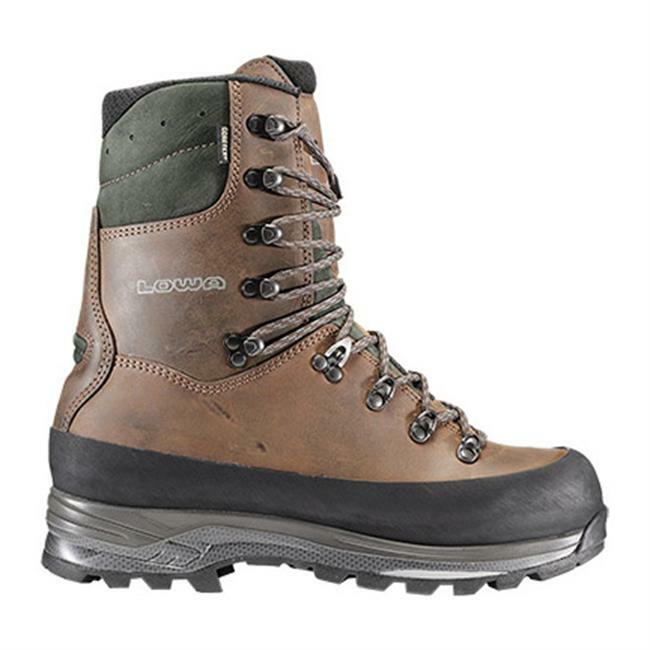 Just as an aside, CCOutdoor.com is recommending the Zamberlan 540 Rise as a substitute for this boot. It is even lighter as it has some Cordura in place of the leather but it has the same sole. It's also $15 bucks cheaper. Serious backpacking boot with little break-in needed. Serious backpacking boot with little break-in needed. Very roomy toebox, warm, watertight, and stylish to boot. What's not to like? These are the best hiking boots I've ever owned, which I hoped for and expected. I have very flat, slightly wide feet and wear dress shoes anywhere from 10.5E to 12D/E. I ordered both this boot and the Zamberlan 996 Vioz GT in size 11.5M US. The Vioz was a touch tight and narrow, with a somewhat small toebox. These 760 Steep GT, on the other hand, fit beautifully, with excellent heel control and anti-pronation, nice width and a much roomier toebox than the Vioz. Amazon's return policy makes it very easy to shop in this way, and I do it fairly often when fit is likely to be an issue. I have now worn these boots through two fall and winter seasons in our mountainous environment, and they have tackled everything with aplomb! Deep snow, dense ice, water, scree, talus, mud, steep inclines? No problem for this boot; simply amazing! I also love the look and they stay quite clean despite the rugged use. Little to no wear on the soles yet. Note, however, that I said fall/winter, because I find these boots simply too warm to hike in during the spring and summer; my feet sweat in these at anything over 40 degrees Fahrenheit. YMMV. Overall, simply the best hiking boots I've ever had! Welcome to Trailspace, Jeff! Thanks for sharing your Zamberlan review with us. Outstanding quality. THE backpacking boot. 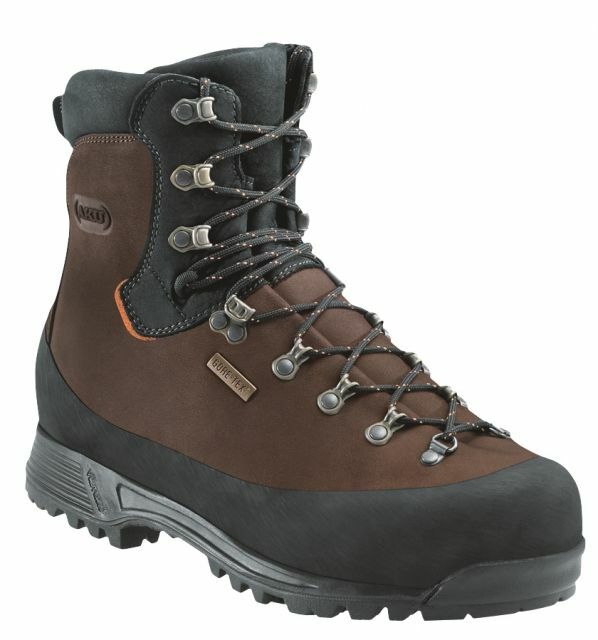 After many brands of hiking boots over the years, I have found Zamberlan to be the "halo" premium brand. Fit and finish and build quality are top of the line. Zamberlans feel like they are a hand built Italian boot more so than their competition that are also built in Italy. They just ooze quality. 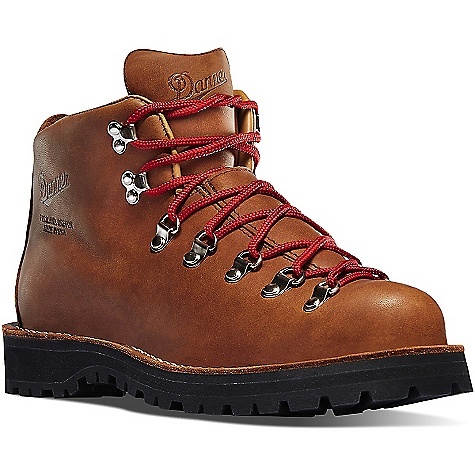 It's almost embarassing how superior these are built compared to some of the "hiking boots" that are built in China like hightop sneakers. If you haven't had a chance to try on a pair of Zamberlan as a reference point of quality, you are missing out. Out of all my Zamberlan boots, the 760 Steep GT is the best. Hands down, it is the most comfortable and didn't require any break in. That is unheard of in a premium backpacking boot. Support is outstanding with excellent braking down hill. My feet always feel fresh and relaxed in the 760 Steep and could use these as a everyday premium boot. I love this boot so much I purchased two pair. One in the backpacker red and one in brown. I find both very attractive in their own way. The red /grey looks more subdued than the picture shows and has more of an Italian quality look than flashy. The two tone brown are more conventional and are understated, but still handsome. Both look good with cargo pants or jeans and both can be worn off the trail without looking odd. 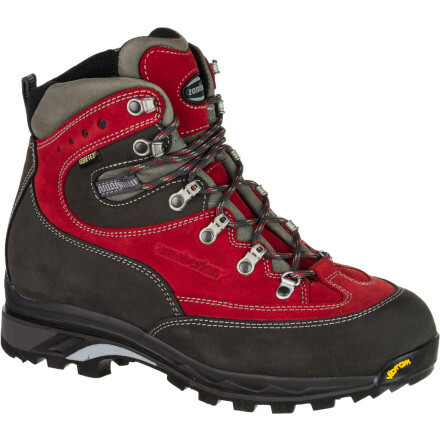 Great boot, very comfortable for long hikes, good ankle support, true to size for me. Used Nikwax for nubuck leathers as a waterproof. Price, wait for sales would be my advice. True to my size and very good on comfort. I have a high arch foot bed very comfortable, lacing as in all boots must be adjusted to your foot and needs. I found the lacing good. Ankle suuport is very good however I have other Zamberlan boots with superior ankle support VIOZ 1009 TOP GT RR. Hiked in the rain, not a real test for these boots, feet stayed bone dry. Good grip on wet un-even surfaces. The coldest weather I was I in with these boots was in teens and 20 degrees no problem with heavy Smartwool socks. Zamberlan a high end boot great construction and build quality. 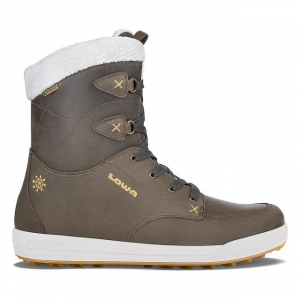 Used primarily in Northeast winters snow, below frezzing weather, hiking, outdoors, etc. 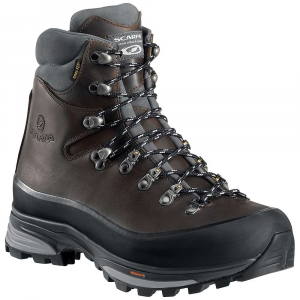 The Zamberlan 760 Steep GT boots are very well made boots. I have been very happy with their performance. They are even more comfortable and supportive than my old Zamberlan Trek Lites boots. That and they breathe better. They are outstanding boots. I own several brands (Merrell, Patagonia, Salomon, Danner and Zamberlan) but always turned to my Zamberlan Trek Lite boots for any serious hiking and backpacking. After 8 years of regular used the leather finally split on one of my boots. I found a pair of Zamberlan 760 Steep GT boots and have been very happy with their performance. They are even more comfortable and supportive than my old Trek Lites. That and they breathe better. The Zamberlan 760 Steep GT is not available from the stores we monitor. It was last seen September 22, 2018	at REI.